Hi, we're back with another Me Moment. Today we'd like to talk to you about Safco's acrylic suggestion boxes. Gather up suggestions, questions, and comments, and create a top-notch business environment with these acrylic suggestion boxes. The suggestion box allows you to get creative with your graphic area, where you can customize and change your message. When it's time to collect that valuable information, simply slide out that entire back panel for easy access to all its contents. Choose between a large with a lock or a small to suit your specific needs. This suggestion box makes an excellent addition to your shared areas, such as a lunch room, break room, mail room, waiting room, or reception area, or a large, public space, such as a restaurant, retail store, and stadiums. Everyone's voice can be heard, and gathering suggestions is as easy as 1 2 3. This has been a Me Moment. Please join us again to learn how Safco can help you work hard and play harder. Make it easy to collect customer feedback with the Safco acrylic suggestion box. Available in two sizes, this suggestion box is a great way to listen to your guests and improve your service. 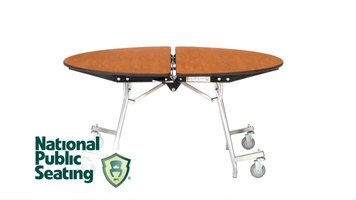 Take a tour through the various options available in the MTS series of NPS tables, and discover what makes them the superior choice and the best value. Add a KitchenAid pasta press attachment to your stand mixer to create fresh, homemade spaghetti, macaroni, and rigatoni! Ever wonder how to professionally decorate your cake? 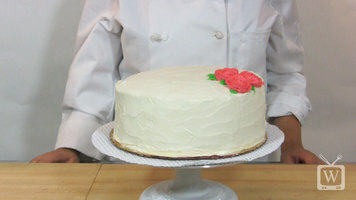 Watch this short video and learn how to style up your next cake with a classic buttercream rose.